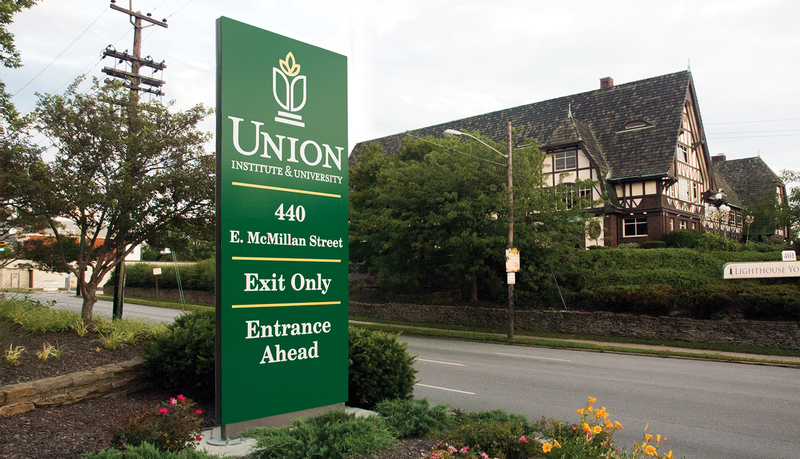 Union Institute & University is located on a busy one-way 4-lane street in the Mt. Auburn neighborhood in Cincinnati. It sits on a hill above the road next to a wooded area. 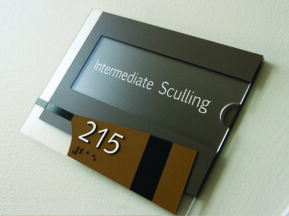 The top priority for the new entrance signage was to enhance visibility. Visitors were having difficulty noticing the previous signage. The signs being replaced included a single 3’ tall illuminated (non-working) sign, that was nearly impossible to see, and a small non-descript post and panel sign. To make matters worse landscaping further obstructed the signage. 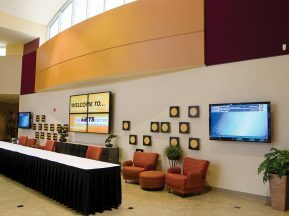 Union Institute & University has many people visiting for the first time including new students, prospective students, attendees to one-time campus events and other visitors. The university is located in an urban area with several lanes of one-way traffic. It is crucial that the entrance signage be visible from a distance allowing drivers to have enough time to change lanes to enter the campus. 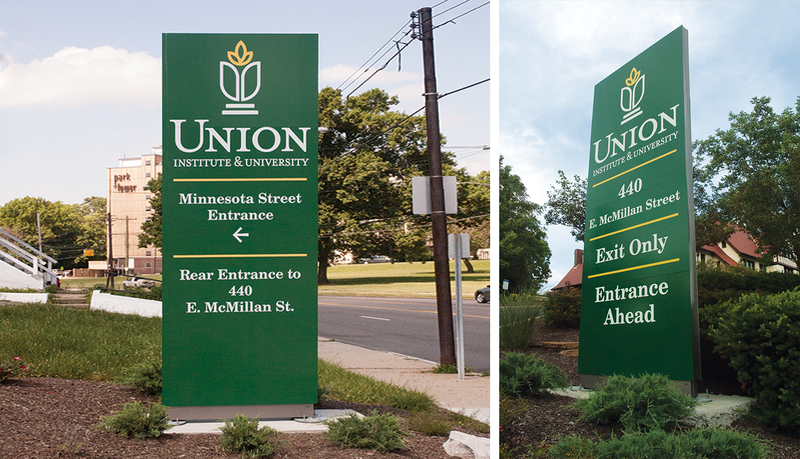 To overcome the signage visibility challenge, ASI, Cincinnati recommended installing 12-foot tall Messenger Exterior monolith signs at both campus entrances. 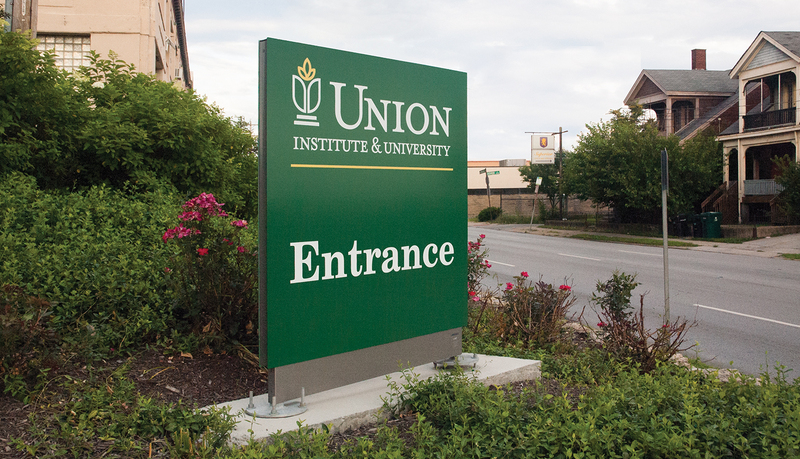 The green color in the university’s logo was recommended as the predominant entrance sign color to make it it easier for visitors to know that they had arrived. Messenger was suggested, as it maintained the feel of the initial EGD design, but it was ultimately chosen for its print on panel graphics. 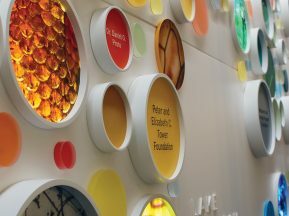 Messenger’s print on panel graphics being vandal resistant was another major factor in the signage selection. 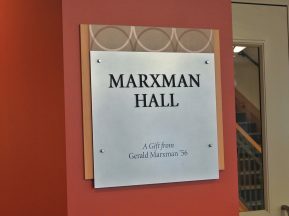 Because the proposed signage was larger than permitted by local zoning ordinances the solution had to go through a city zoning variance hearing. Though skeptical at first, the city listened to the visibility issues experienced by campus visitors and they approved the larger signs. Because of budgetary constraints parking and directional signage were put on hold.